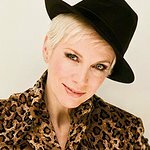 Annie Lennox OBE, the former Eurythmics star and prominent HIV/AIDS campaigner, last week told British MPs that ending a death sentence for millions of impoverished people is possible — but only with the UK’s increased commitment to the Global Fund to Fight AIDS, TUBERCULOSIS AND MALARIA, an international public-private partnership set up to combat the scourge of fatal infections. “The Global Fund, with support from the UK government, has been a critical driver in achieving successful diagnosis, treatment and prevention of HIV and AIDS, TB and malaria, delivering care for people living and affected by these community and nation-wrecking diseases,” Lennox told MPs attending the event hosted by the All Party Parliamentary Groups on HIV&AIDS, Tuberculosis and Malaria. Lennox, who runs her own campaign to support girls and women affected by HIV, urged the decision makers to pledge a 20%-boosted ￡1.2 billion replenishment donation to the Global Fund, which has saved over 17 million lives since its establishment in 2002. “We should be proud of the leadership role and dedication to global public health that the UK has shown to date. But now is the critical time to invest further in the global response against the three diseases if we are to reach the sustainable development goal targets by 2030. “With the upcoming replenishment of the Global Fund, the UK government has the opportunity to show that their continued leadership and dedication to saving and improving quality of life has not waned,” Lennox told MPs in her keynote speech. The Global Fund mobilises and invests nearly US$4 billion a year providing affordable and effective treatment, plus supporting prevention health programs run by local experts in countries and communities most in need. Crucially, the funding of scientific advances means defeating the three main infectious disease killers is within grasp – as long the momentum is not lost. The Global Fund has set a $13 billion target ahead of its replenishment meeting in Canada in September, to help save 8 million lives and avert 300 million new infections across the three diseases over the next 3 years. That means donor nations will have to increase their contribution by an average of 20%. Such an increase from the UK Government would equate to a￡1.2 billion and help save 1.1 million lives. Canada, the European Union and Japan have already committed to the increase — but the Global Fund will only reach its target if the UK government makes a 20% in increase in its contribution. Oscar-winning Emma Thompson, London’s TB ambassador, and British adventurer and Malaria No More UK special ambassador Ash Dykes, echoed the call for the UK Government to rise to the challenge at the APPG meeting. The APPG meeting has been co-organised by leading NGOs and charities The ONE Campaign, STOPAIDS UK, International HIV/AIDS Alliance, Malaria No More UK, RESULTS UK and Comic Relief. The needs of women and girls are at the centre of the strategy to combat the diseases, explained O’Mallie. “Poverty and disease are sexist. In sub-Saharan Africa, young women are twice as likely as young men to be living with HIV, with 715 young women age 15-24 infected each day,” she said.